This podcast includes discussion about the Hartford Martin Luther King Jr school closing controversy with Hartford resident Zaida Berrios, who is doing research on the city school system, and activist Arthur Miller. David and Mary also interview Trebol Press editor Karl Rogers and will discuss the mission of his nonprofit organization. 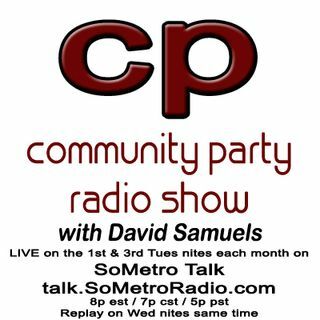 Hear the show live on the 1st and 3rd Tue of each month at 8p est / 7p cst / 5p pst on SoMetro Radio, one of the original member stations of the Get Global ... See More Network.